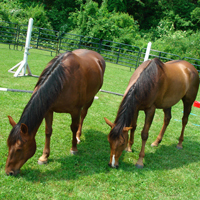 Equine Assisted Psychotherapy is an emerging field in which horses are used as a tool for emotional growth and learning. 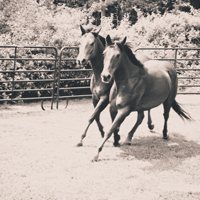 EAP is a collaborative effort between a licensed therapist and a horse professional. Because of its intensity and effectiveness it is considered a short term or brief approach. EAP is experiential in nature with a powerful therapeutic approach that has an incredible impact on individuals, youth, families and groups. 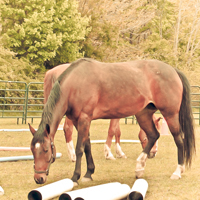 Arms Acres is pleased to be able to offer this program through Relatively Stable, and Equine Assisted Growth and Learning Organization. Patients participate in a voluntary manner. EAP addresses a variety of mental health and human development needs such as behavioral issues, substance abuse, depression, anxiety, relationship problems and communication skills. For more information you may contact James Downes. Whether you are looking for substance abuse treatment for yourself or someone you know and love, you don’t have to do it alone. We can help. Our caring and compassionate intake health care professionals are waiting to assist you with your questions and concerns. All information shared with our staff is confidential. Let us help. It’s time to go from pieces to peace…..begin by clicking on the link below. Arms Acres is licensed by the Joint Commission, who ensures quality of care and safe practices and also by the New York State Office of Alcoholism and Substance Abuse Services (OASAS).